If you ever wondered what ex-professional footballers do when their careers end – Bill’s the perfect example. Playing for local team Port Vale in the early 70s, followed by two years playing in Australia, he returned to start Morning Fresh in 1980. 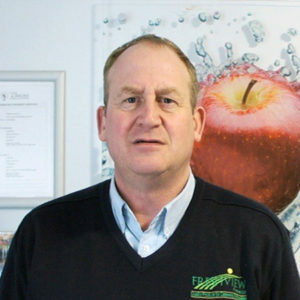 With over 30 years experience in all aspects of fruit & vegetables, starting with two retail shops, he moved into wholesaling in 1985 and opened two further shops in 1988 and 1989. With a strong focus on staff and customer development, he prefers to be called experienced rather than simply “old”! Richard started selling potatoes from his Grandad’s garage when he was 17. After getting F,O,F,F in his A Level’s, he decided that maybe university wasn’t for him and went on to start R. J. Harrison Potato Merchants in 1982. Selling to local shops and chip shops, there’s not too much he doesn’t know about the humble spud! He then went onto preparing vegetables and supplying catering establishments in the mid 90s, renaming the company R. J. Harrison Wholesale Greengrocers. He’s been married to Jayne, a dance teacher for 30 years and they has 3 sons, Matthew, Christian and Thomas. Born, raised and educated (Wolstanton Grammar) in Stoke on Trent, Ian’s first role was as a Trainee Accountant with Manor Bakeries Ltd (Mr Kipling & Cadbury cakes ) . After 21 enjoyable years, holding various roles, he successfully held the position of Financial Controller of the whole Business which was circa £270m turnover, across approximately 35 locations with a finance team of around 60. The role of Finance and IT Director role took him to Le Pain Croustillant Ltd, manufacturing part baked French bread for most major retailers and the convenience retail market, based in West London, where he stayed for 7 years. After deciding that working away from his Southampton home was too demanding, he joined Selwood Holdings Ltd, based near Winchester, as Finance, IT, and HR Director. The role entailed looking after the Hire and Sale of Plant Equipment and Pumps, operating with circa £55m turnover through 30 locations employing around 410 employees. After 8 years and following the successful re-financing of the Business in 2016, Ian left Selwood Holdings Ltd when he enjoyed his first ‘mini career break’ after 36 years, enabling him to spend some valuable time with his wife and two children. 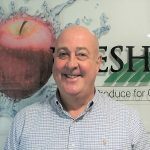 Ian, now reacquainting himself with the food sector, joined Freshview Foods in February 2017 providing Finance and Business support, and in October 2018 became Freshview’s Managing Director. The two directors’ right hand man! Adrian had worked for Morning Fresh for over 20 years, man and boy. Order picking, driving, you name it, he’s done it! Attaining a Mathematics degree at University didn’t deter him from working in Fruit and Vegetables. Adrian is very hard working and has an upbeat personality. He is married to Liz, a Deputy Head Teacher, and they have two boys. Ian is charged with heading up both the account management and customer service teams. He can trace his fresh produce background right the way back to the 1930s when his grandparents owned and ran several greengrocery businesses in Liverpool. When spending time in the office Ian likes to keep busy by avoiding the kettle and breaking everything that is electronic and I.T related. Ian is passionate about seasonal local produce and is a keen forager with an interest in British wild foods. Craig is no stranger to the Fresh Produce Industry. After leaving University with a Financial Studies Degree, he worked for a Food Service business in Buxton, Derbyshire. There he developed a passion for all things Fruit and Veg, learning the trade and working his way up in the business. After several years working in Buxton, he went on to own and run a successful wholesale Fruit and Vegetable business in Totnes, Devon. During this period, he continued to entice his knowledge of the industry as well as developing lasting relationships with both local and national suppliers. He then sold the company to his business partner of ten years to pursue other opportunities. 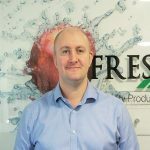 Craig joined Freshview Foods after relocating to his families roots between Manchester and Stoke with his wife Norah and their young daughter Scarlett. Craig holds the position of Commercial Manager with the primary role of overseeing the pricing for the business. 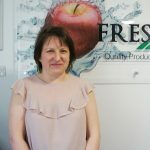 Nikki started with Morning Fresh in 2002 as a part time data input clerk, however she quickly progressed to become an essential member of staff. She took her AAT in 2010 and now heads the accounts team. She has always got stuck in with anything thrown her way including the odd deliveries back in the early days! Many Social and fund raising events within the workplace have always involved Nikki. 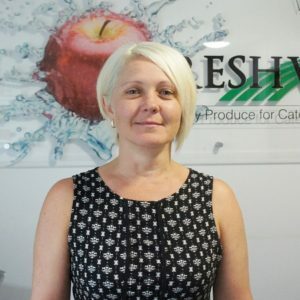 Nicola has grown up working in fruit and vegetable shops from the young age of 13! She then moved on to a career in Hospitality, gaining experience as a Restaurant Manager in Cornwall before moving into HR for the last 3 years. Nicola started working at Freshview in 2016 as HR Manager, and is also currently studying her C.I.P.D in HR Management! John is passionate about the product and uncompromising on quality. 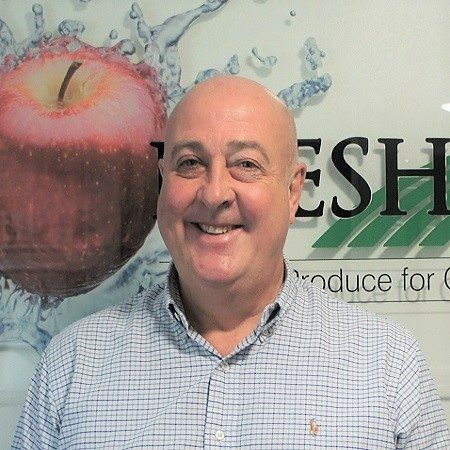 He has served his time through countless trips to the wholesale market, managing our retail shops, developing our sales department and made a big contribution to the emphasis on quality in the business. If you come down to Freshview you will certainly hear him about the warehouse! Kevin came to work in the Fruit and Veg industry over 5 years ago after working in the pottery industry for 23 years. 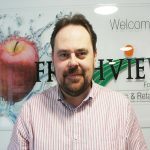 Martin joined Freshview in Sept 2015 working as assistant manager then becoming shift manager. Past experience having 30 years’ experience in the logistics industry. 23 years spent at Sainsbury’s on the frozen contract at Stone, 10 years as a shift manager. Married for 25 years, 3 children,2 grown up and 1 14 years of age. Liz joined Morning Fresh in 2007 and is now the Customer Service & Technical Manager with responsibility for the customer service teams and the technical side of the business, ensuring compliance with food legislation and regulations. She enjoys eating out in her spare time, with curry and a glass of white wine being her favourite. 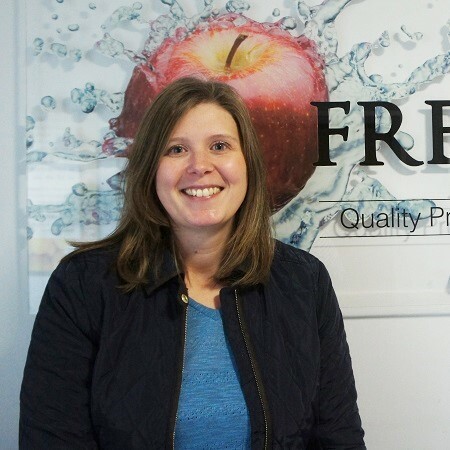 As we like to keep it in the family when Adrian Clewes, our Operations Manager, told us his sister was looking for a new career path in Sales we snapped her up and we haven’t regretted it once. 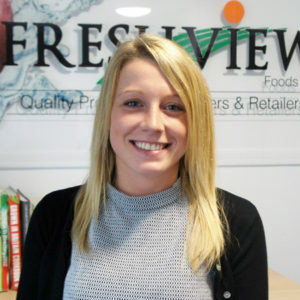 She came to Freshview with excellent Customer Service skills, the best telephone manner ever and the patience of a saint! She lives with her husband John, and they devote their free time to caring for animals as Amanda is a pushover when it comes to anything cute and fluffy! Sadie came to work straight from school at the age of 16 and quickly progressed to become a highly valued member of the team. She has a bubbly personality, which many customers have recognised over the many years she has been with us. Simon’s experience and skill set make him a perfect fit to assist our customers with menu development, advise on new concepts, new recipes, menu costings, NPD work, food trend support and kitchen management. Simon has been a chef since he was 15. His first real exposure to serious food was in the then Michelin Star kitchen of Juniper in Altrincham working under Paul Kitching, and he became completely hooked. After earning his ‘whites’ with Paul he moved to London and began working at Chez Nico in Park Lane, one of only a small handful of 3 Michelin Star restaurants in Europe. After gaining a great deal of knowledge and experience he moved on to the Ritz Hotel. 3 years at The Ritz service came to an end when he was approached by The Conran Group to work as a chef at Tournant in The Pont de la Tour, The Cantina del Pont and the Butlers Wharf Chop House. After a further lengthy stint with The Conran Group as a young and ambitious man he left to further his understanding of gastronomy and travelled to Australia. During a 7 year stay, Simon worked in Melbourne at Le Restaurant and then Vue de Monde which was recognised as one of the top 50 restaurants in the world 4 years on the trot and best restaurant in Australia 3 years in succession. Since returning to the U.K. and starting a family Simon has continued his culinary journey, working with some amazing chefs at fabulous venues before starting up his own consultancy. 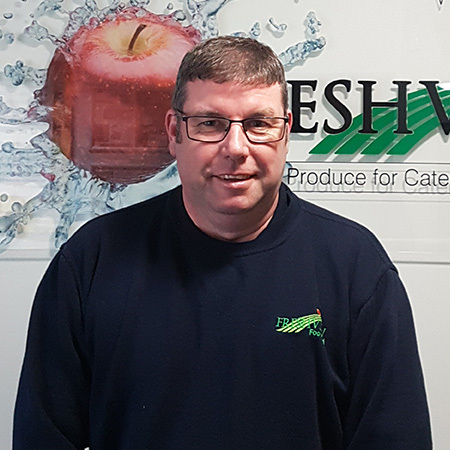 A chance meeting with Freshview resulted in Simon joining our team and with plans for our new development kitchen underway, exciting times are ahead for the Freshview team and our customers.